You have reached Bridg and Julian's residence. We can't answer right now, but leave us your name and number after the beep. We'll call you back as soon as possible. This is 0.1.4.5.1.2.0.6.1.8. We are unable to come to the phone right now, but if you leave us your name and number, we'll return your call as soon as possible. You have reached 0.1.4.5.1.2.0.6.1.8. We can't take your call right now, but leave us your name, number and a brief message; we'll get back to you as soon as possible. I was calling about this evening, are you free to eat out? I was calling to tell Julian I got his message last week, but I was out of town when he called. I was trying to get in touch with Julian, this is about Lucile, can I call him somewhere? I'm trying to reach Bridg but I'll try to call you later. If it's Julian's voice mail, hi, this is Vincent; could you call me later at 0.5.3.1.9.7.4.8.2.3? Thank you. Hello, this is Vincent. I'm looking for Julian. If this is Julian's voice mail, please call me back at 0.5.3.1.9.7.4.8.2.3, thank you. Welcome! 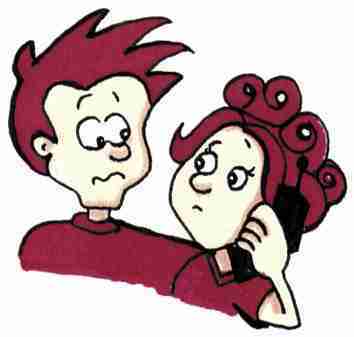 You concurrently busy have reached hold on hold on for information leave main menu press star sign will be with you shortly I don't know ToLearnEnglish.com concurrently busy have reached hold on hold on for information leave main menu press star sign will be with you shortly I don't know . All our moderators are concurrently busy have reached hold on hold on for information leave main menu press star sign will be with you shortly I don't know so, please, concurrently busy have reached hold on hold on for information leave main menu press star sign will be with you shortly I don't know and one of our assistants concurrently busy have reached hold on hold on for information leave main menu press star sign will be with you shortly I don't know . -To concurrently busy have reached hold on hold on for information leave main menu press star sign will be with you shortly I don't know a question to the webmaster, press 2. -For account concurrently busy have reached hold on hold on for information leave main menu press star sign will be with you shortly I don't know press 3. -To leave a complaint, please concurrently busy have reached hold on hold on for information leave main menu press star sign will be with you shortly I don't know a moderator or press on the concurrently busy have reached hold on hold on for information leave main menu press star sign will be with you shortly I don't know to return to the main menu.